This is a high VG e-liquid; we recommend that you use this with a sub-ohm tank. 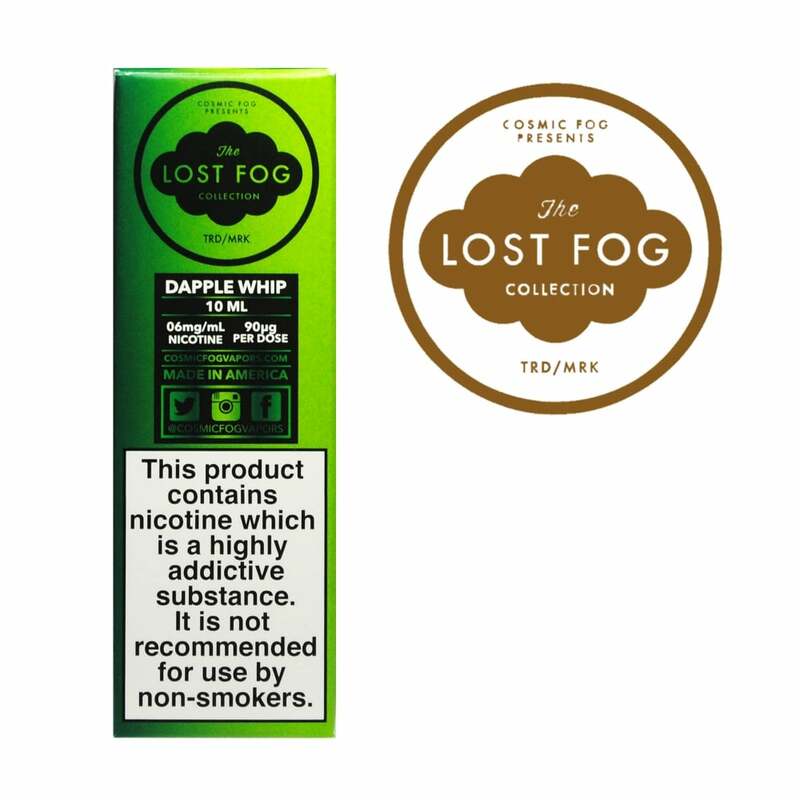 Taking an old country classic and giving it a decadent twist, this Dapple Whip sub ohm e-liquid is part of the Lost Fog Collection by Cosmic Fog. Tart and tasty Granny Smith apples combine with that classic caramel and cream combo to create a mouth-wateringly melty caramel apple flavour which is both nostalgic and tempting.